The ARTlab program consists of large spaces for the School of Art to complement the small studio spaces within the adjacent Taché Hall, a repurposed 1911 student residence. 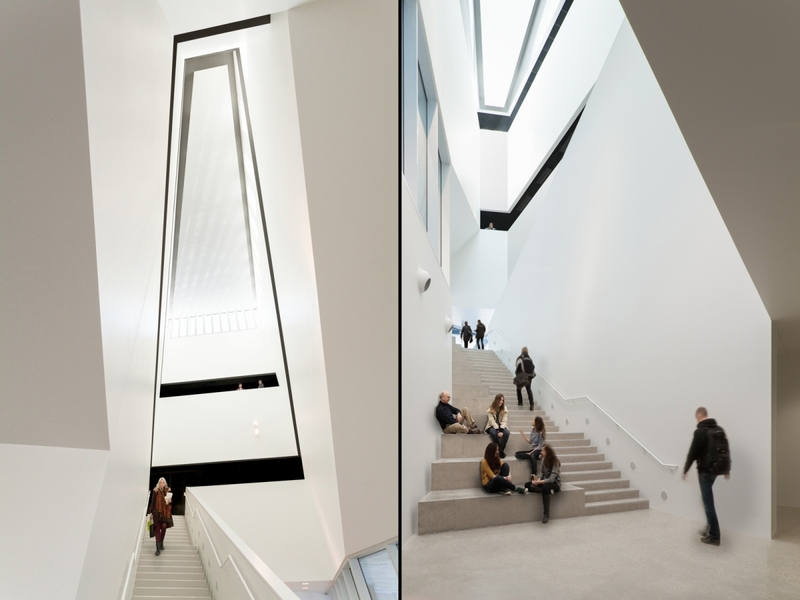 The volume of the ARTlab interlocks with Taché Hall, which reinforces the two buildings as an integrated arts facility and maximizes north daylight in the studio spaces. Facilitating a critical urban connection to the business school to the south, the north wing of the ARTlab is raised one storey above grade. The covered area below forms the entrance to the ARTlab and a generous covered outdoor space for school and gallery events. 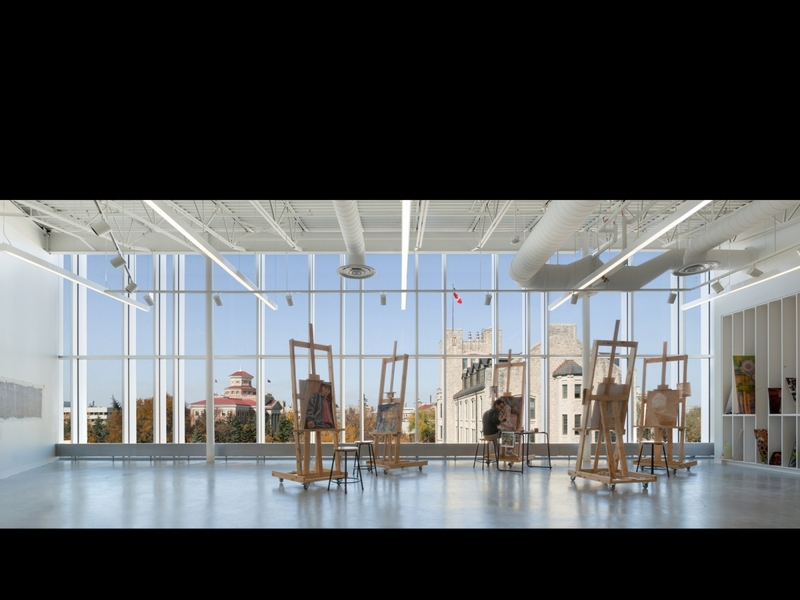 "The ARTlab brings art and music out of Taché Hall—a former 1911 student residence—and in to the public realm of Duckworth Quadrangle, the University of Manitoba’s the main outdoor space. The juxtaposition of new and old adds up to more than the sum of its parts. 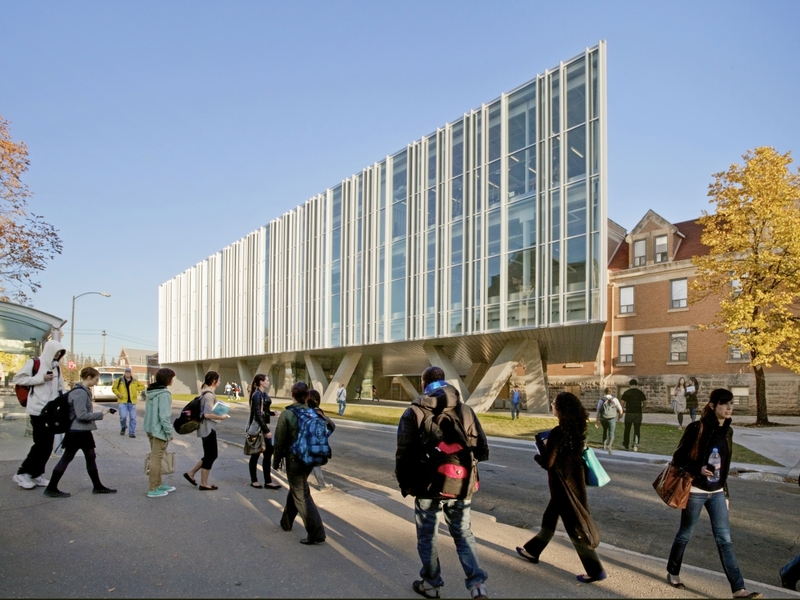 With the new space, the architects give the older building a new face on campus. Circulation is a key theme in the project, with a dramatic atrium connecting levels and glass bridges colliding with the historic brick walls. 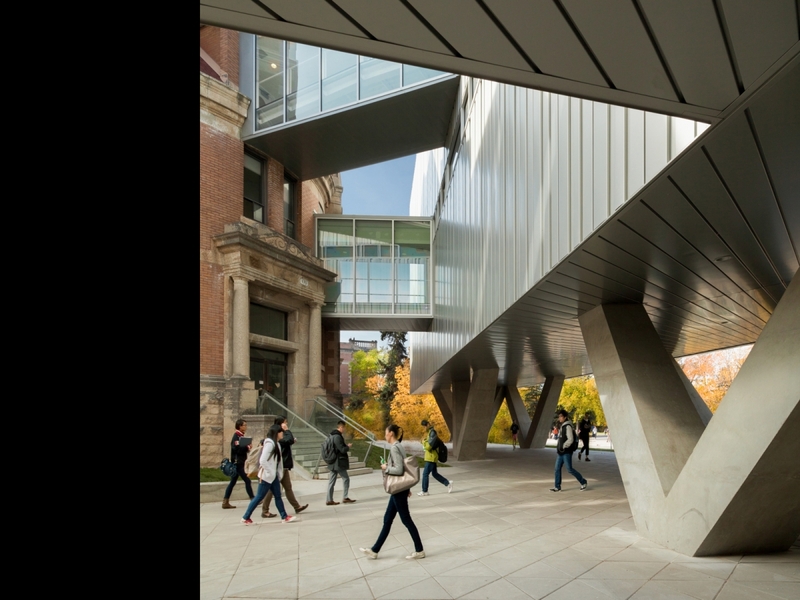 The exterior spaces beneath the new addition provide for a protected entry sequence in Winnipeg’s harsh winters, while the interior provides stunning views back on to the campus, making for an inspiring environment to create works of art. 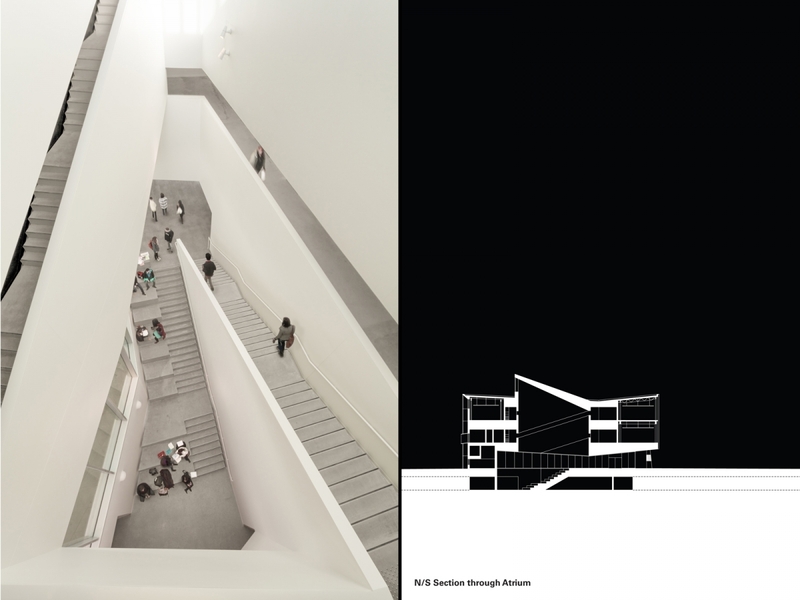 There is a dynamic tension in the plan, creating simple yet idiosyncratic spaces inside and out."